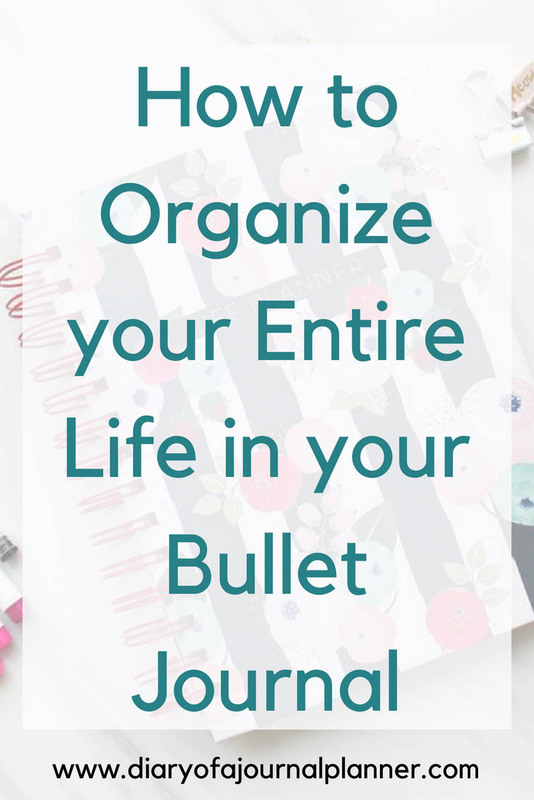 Learn how to organize all aspects of your life using a bullet journal! 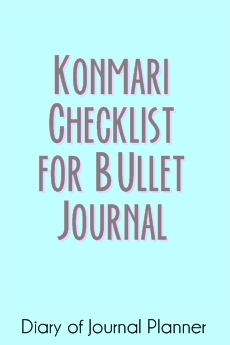 Using your bullet journal for future planning, organization or decluttering with the Konmari checklist is an amazing and effective way to keep your whole life on track. e all have so many balls to juggle in life and it can be hard to remember and balance everything we need to do. Keeping a bullet journal for work and personal usage is such a simple way to manage it all. 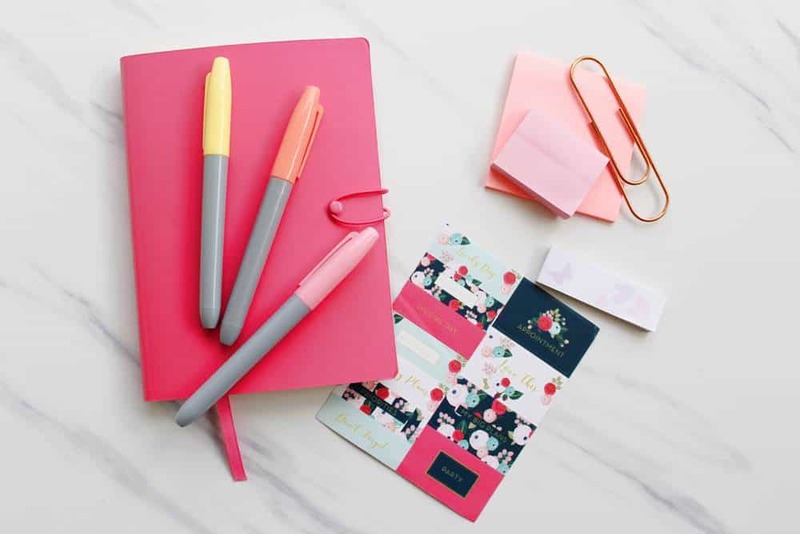 Although they may seem a little time to set up, once you have learned how to start a bullet journal, it is the best way to keep track of everything from appointments, to-do lists, and future goals. Having everything organized and simplified reduces stress, increases productivity and helps you be less anxious about forgetting things or being unprepared. As an added bonus it can also be an incredible creative outlet. 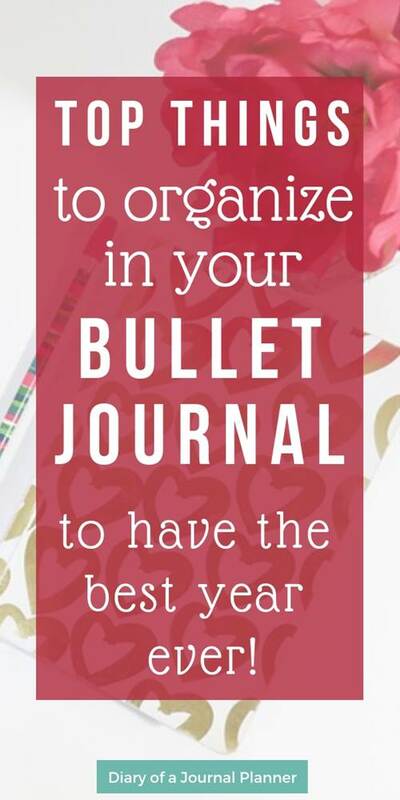 So, keep reading to find out how to get organized with a simple bullet journal and a little creativity. Should I Try A Bullet Journal? It may seem a little too good to be true. 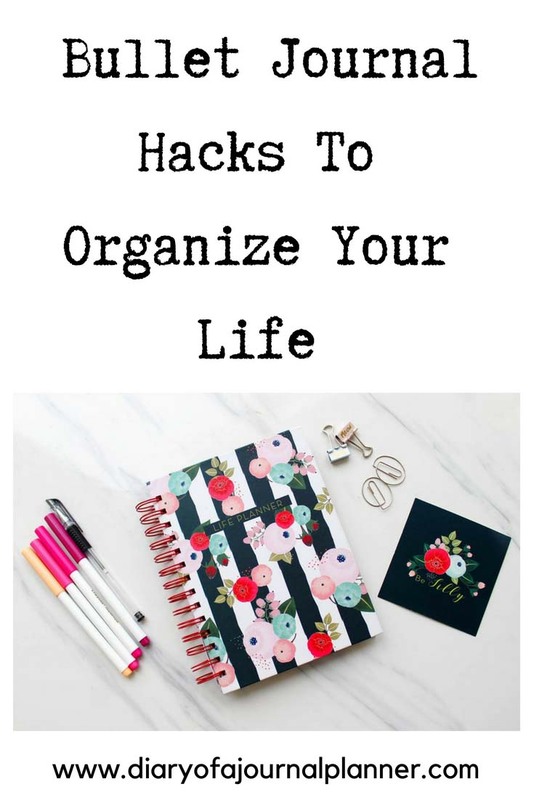 But we guarantee that the simple step of getting all those tasks you have in some sort of order and organized on paper will instantly make things easier. We all tend to be constantly overthinking and running through all the things we have to do in our mind (usually while adding more things to do). Putting those down on paper allows you to be in the moment more while reducing the worry of forgetting anything important. 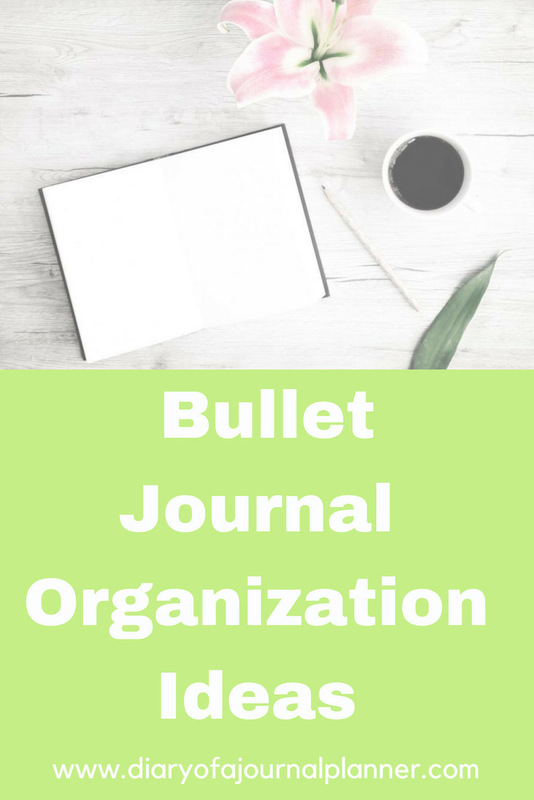 The most simple way to describe a bullet journal is a special journal that has various sections which keep track of different many different aspects of your life. 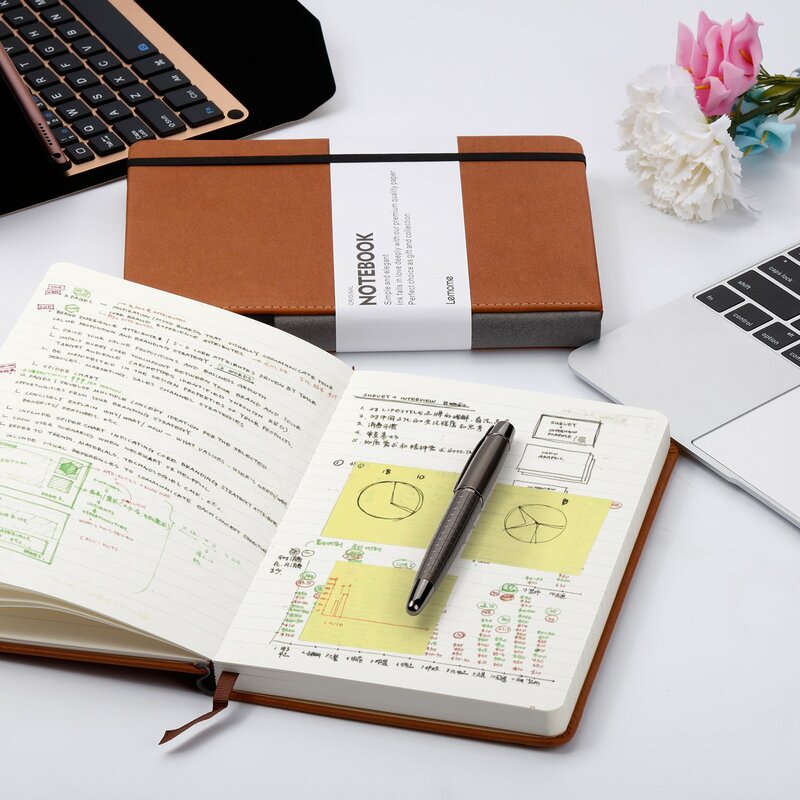 Having just one organizer journal instead of a different notebook for each part of your life like you probably do now makes life so much easier. You choose all the things that are important to you to be included, making a fully customizable journal. It may be things like bullet journal weekly planning, household chores, party planning, appointments, savings goals. The possibilities are endless. And once that journal is full you just start a new one. You may think of journalling as long written entries. With a bullet journal though you use points, symbols and other summarizing techniques to save time and space. 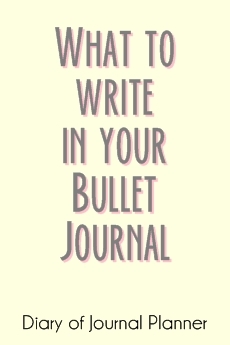 Read more about starting a bullet journal here! You are stressed with so many things to remember and you often forget important things. You have lots of pieces of paper or notebooks with reminders, to-do lists and goals. 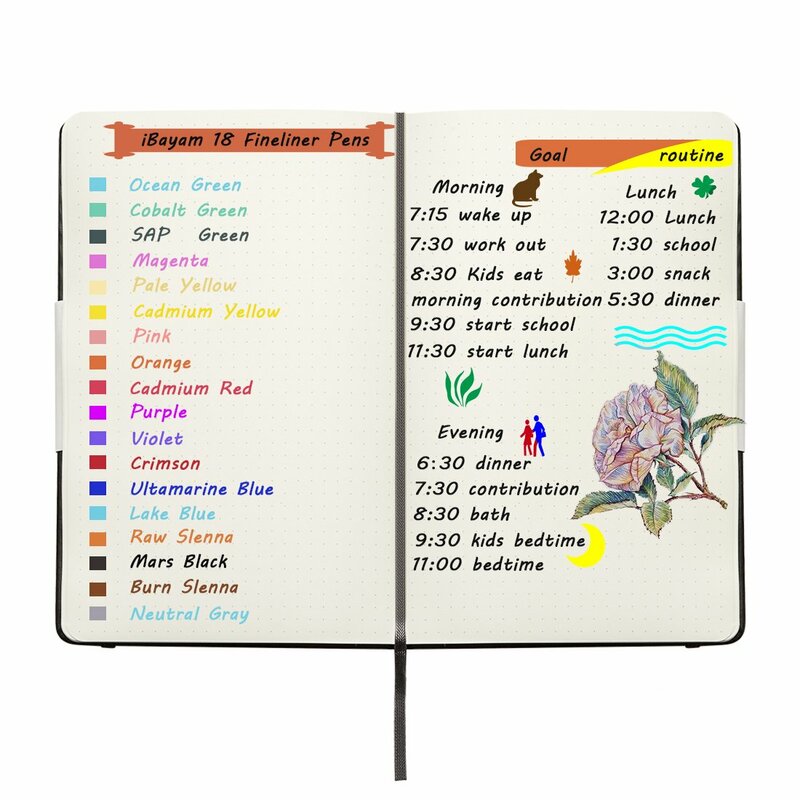 Even though you have a digital calendar you also have a paper planner too. Pen and paper is your preferred way to remember things. Do any of these points sound like you? 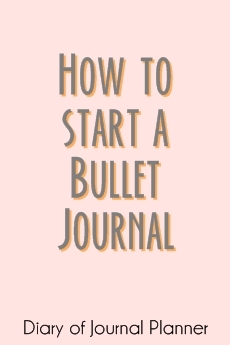 Head over to our simple step-by-step guide to starting a bullet journal now. Once you have the basics you can then discover some brilliant ways to use personalized planners and organizers. 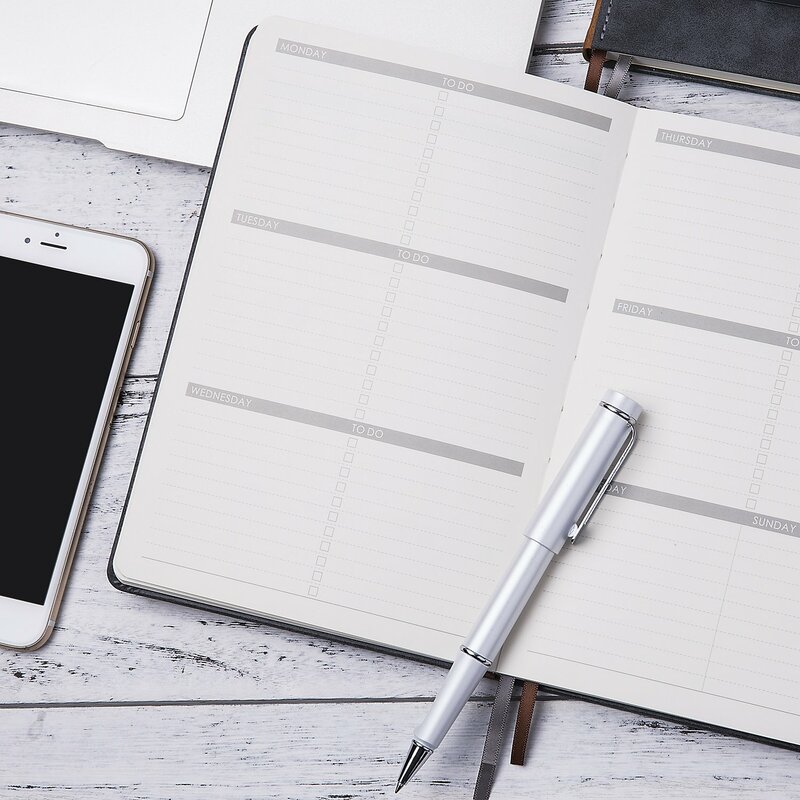 Although everyone’s organized life planner will be slightly different there are some areas of organization that we think every journal should have. Did you know that women spend on average over 2 hours a day on household activities? That’s a whole lot of things to remember and do each week! 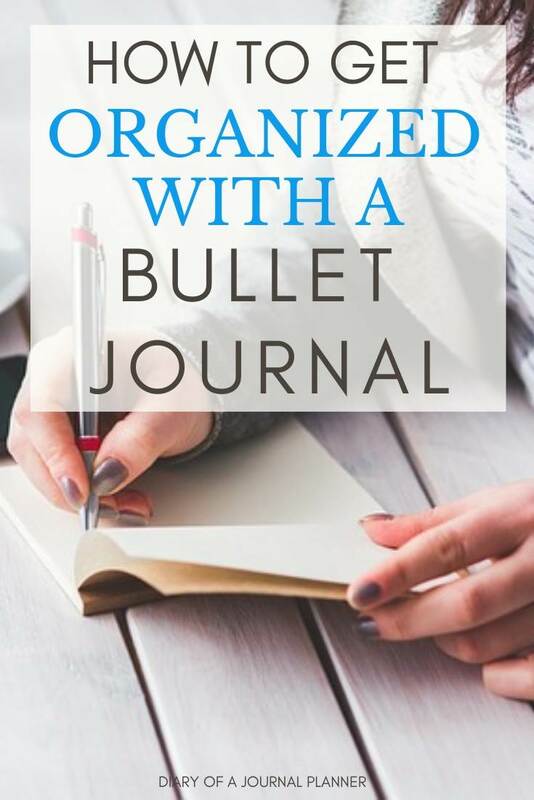 Here are a few household organization ideas to include in your bullet journal to make life run easier. Having a special Finance spread for your bullet journal is a great way to organize things like spending, savings, and budgets. The best way to work out what trackers will help improve your life the most is to ask yourself some questions. Do you have debt you want to pay off? How much is it? What are you trying to save for? What can you do to make money for this? How much money is coming into the household? What are the vital costs? What are the things you could cut back on? Click here for amazing budget and expense track ideas! These questions will get you thinking about what sort of things you need to keep track of. The brilliant thing about keeping track of something is that it immediately makes you more accountable for your actions, which is a great way to become more organized. 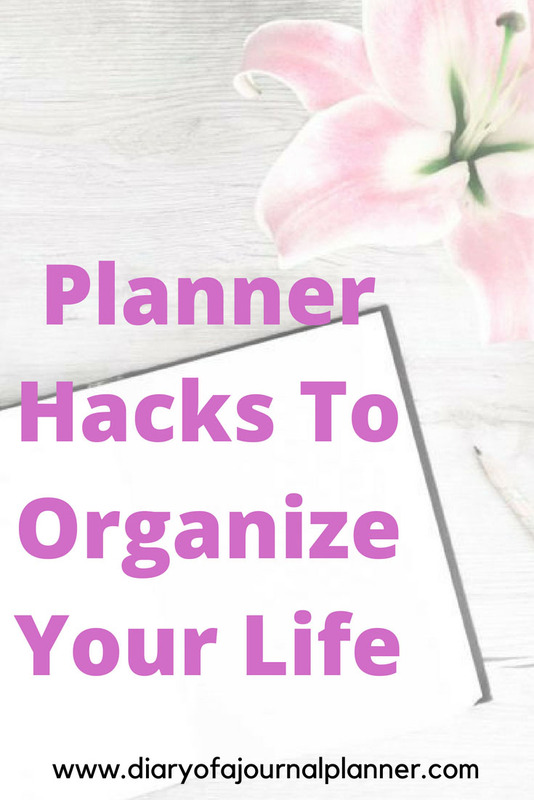 If you want to learn more about the best planners and organizers habit trackers then click on our post. Using a bullet journal tasks layout to keep track of all the various things that need doing around the home can stop you feeling overwhelmed with your to-do list. You also feel an amazing sense of accomplishment getting to tick them off! We suggest prioritizing jobs and keeping separate lists. 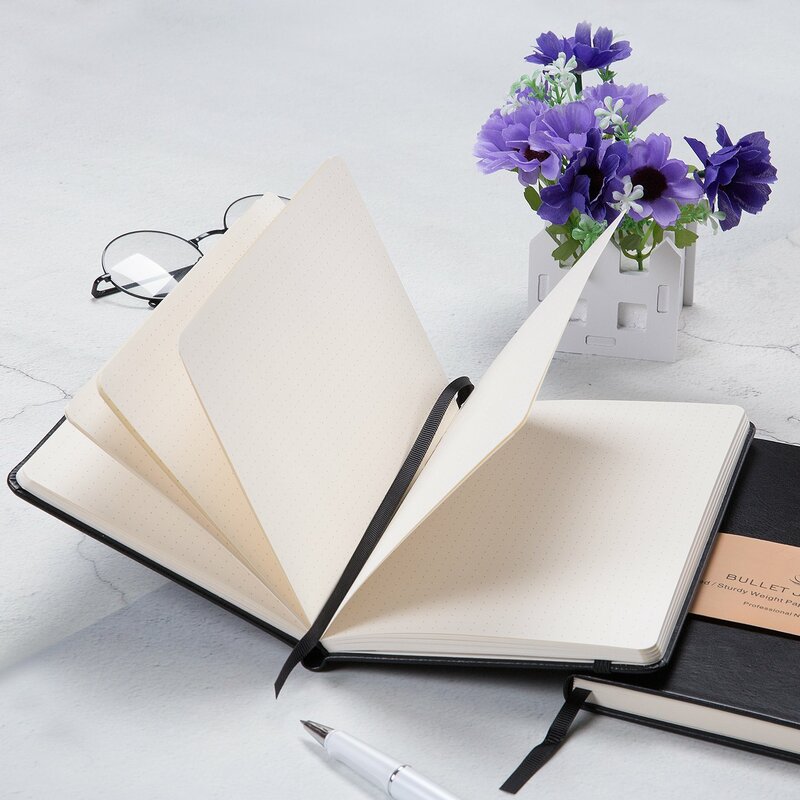 For example maybe a daily journal planner for small jobs like wiping down bench tops, as well as a weekly, monthly and yearly cleaning and to-do list. An open-ended repair or errand list is also a great idea as you can write down those odd tasks that need doing like cleaning the gutters or checking smoke alarms then schedule them in so they actually get done. Another great suggestion is keeping a list of items you need to buy. It can be easy to forget you need more batteries for the torch or a lightbulb for the kitchen light. We think that this is so important we wrote a whole post on how to use a bullet journal for meal planning here. Making meal prepping and planning part of your life is not only convenient, it helps you be more organized and is also a great way to start a new healthy lifestyle. 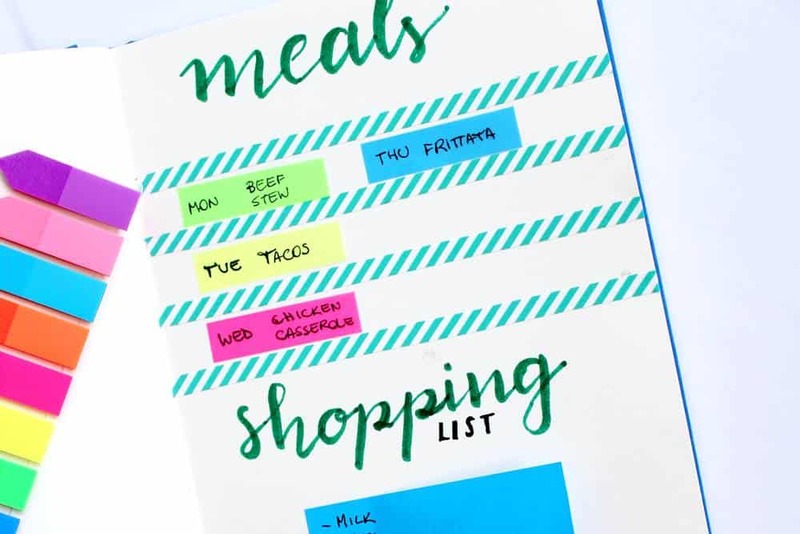 You can include so many things in this from shopping lists, recipes, pantry organization and weight loss trackers. Whatever works best for you and other household members. Find here my Christmas gift guides to planners and bullet journal lovers! This one is especially good for all the mom planners and organizers. Trying to organize everything for the perfect kids’ party can be a nightmare. Using your bullet Journal to help you keep track of everything will make it seem like a breeze. Here are some great ideas for organizing parties and holidays or any other agenda organization. Start a Savings Spread. Whether it’s your dream holiday to the Caribbean or a two-year-olds clown party, it’s going to be an extra expense to your normal budget. Make a savings goal with how you will make the money and keep track as the savings grow. Create a budget tracker. It can be so easy to spend too much when you are buying small items here and there for a party. Keep a track in your bullet journal. Have an ongoing shopping list. We all suddenly have that brainwave with the perfect Holiday or Party idea…and then we all easily forget it next time we are at the store. 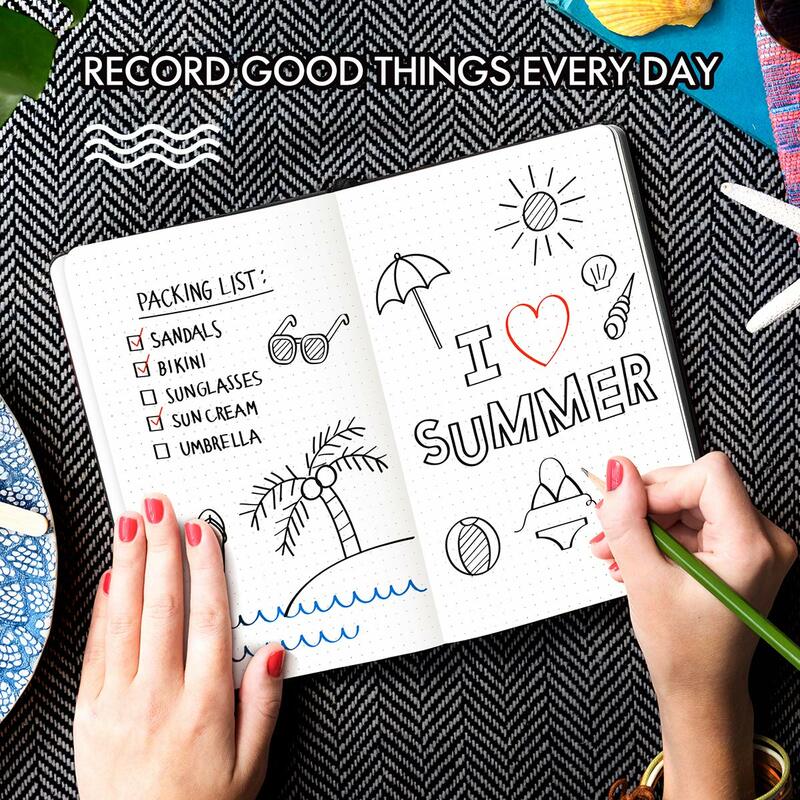 Keep a track of everything you need that you can add too and cross off as you get. Plan Christmas with a Holiday list. Don’t ever have that awkward moment where you forgot to buy a present for someone again. You can also put gift ideas next to names. Create an Invite List. This is great for remembering who to invite but also to remind you who has RSVP’d. To-Do Lists. For your holiday this could include tasks like getting all your documents ready, organizing insurance and getting local currency for your destination. A packing list is also a must! It is just as important to have one for a party too. This can be things like sending out invites, organize a cake and getting party favors. A monthly organizer for important events. This may be special talks, sporting events, rehearsals for classes you take and anything else you need to remember. It will also help you not double book yourself. The best journal planner will have a list of school supplies too. It can be easy to forget supplies when you have a long list. Or maybe you need specialized equipment that you buy gradually. A schedule or calendar planner organizer is a great idea. Be sure to note your classes, as well as exams and finals. This not only helps you know where you are meant to be but will help with a study program. An Education Plan. Be sure to write down your overall goals and plans in your Bullet Journal too. It can be easy to forget what class you need to enroll in next or work out where you are heading if it’s only in your head and not in your planner, organizer or binder. When we get busy, our health and wellness can be the first thing that gets forgotten. It is so important to make these a priority though and by getting organized it will be easier than ever. Bullet journal workout spread. By planning your workouts in advance, keeping track of your goals and progress you are more likely to make your fitness a priority. It can also be a huge boost to self-confidence when you start ticking off those completed workouts. Keeping track can also help you see when you are more likely to miss workouts and why. Which in turn allows you to make a workout plan that suits better. Food and Diet Trackers. We already mentioned meal planning and weight loss trackers, but keeping a detailed log on your food habits makes it easier to break bad eating habits and create new ones. Self Care Schedule. Taking care of yourself is so important to overall wellbeing and happiness. Use a schedule to make sure you take time to do things you love and look after important things like your skincare. You could also keep track of health issues like breakouts or eczema to help determine the cause. Mental Health Tracker. Keeping a bullet journal helps with stress and anxiety but keeping track of your moods, emotions, and feelings will not only help you understand yourself better but you will get to know what are your triggers too. We love this Mood Tracker Page. Using a bullet journal at work is a wonderful way to be more productive and reduce your stress levels. The magic of this type of personal organizer planner is that it can work just as well if you are self-employed, work from home or work as an employee. 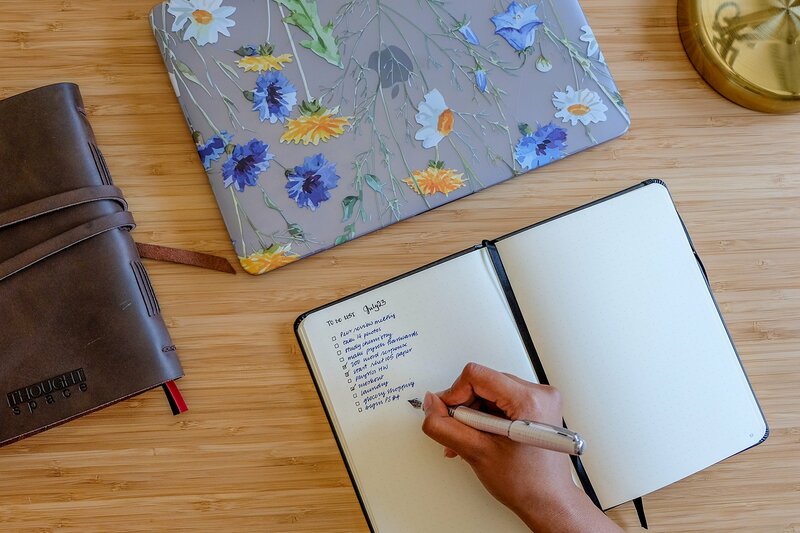 Here are some great ways to use your bullet journal for work. Keep all your appointments together so you never double book or miss an appointment again. Have a spread to use for brainstorming ideas and plans. You could also have a page to make summarised notes from meetings. Keep track of your personal work goals. Have these goals broken down into doable action steps. This could involve workplace training, learning a new skill or keeping track of the time you spend on tasks. 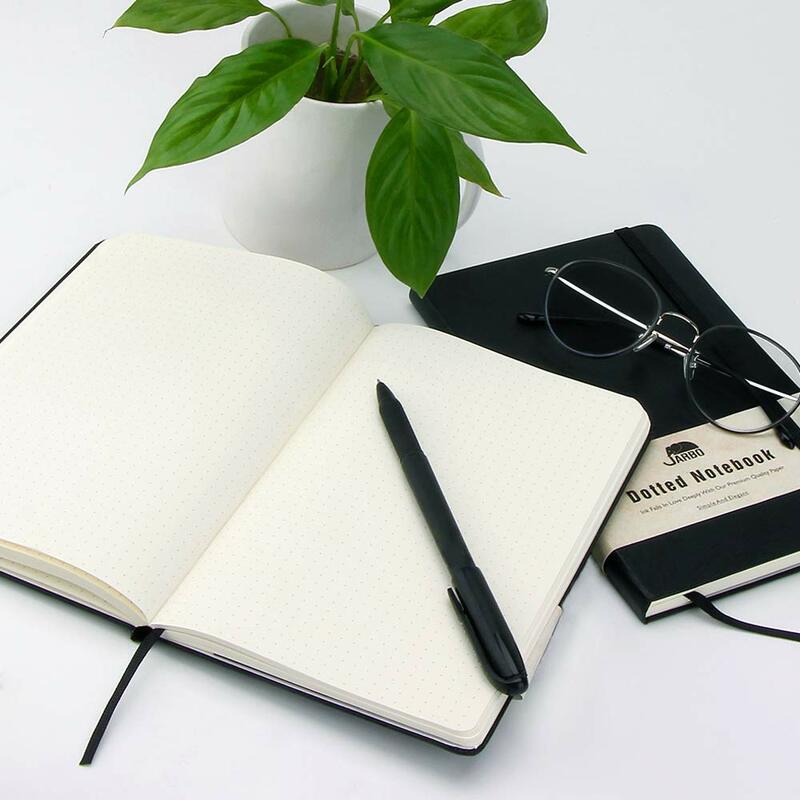 If you have your own business ( or are planning on one soon) use your bullet journal to keep a summarised and simple business plan that is handy for you to look back on. Write a tasks list. Just like at home keep a track of daily, weekly and monthly tasks. Maybe you need to keep track on delegation of certain tasks too? Start Project Planning. 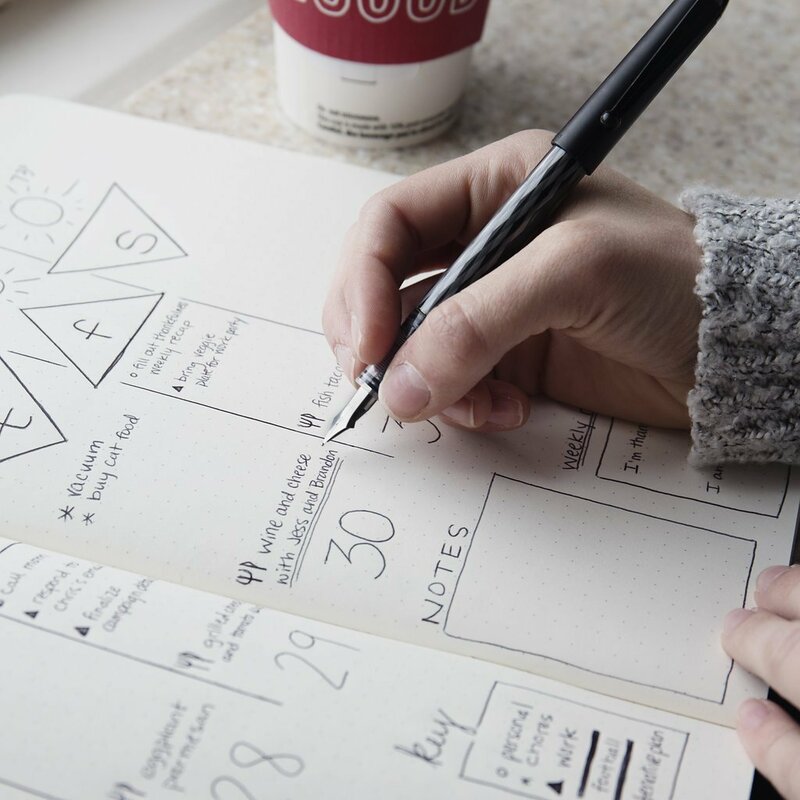 Use your bullet journal to brainstorm, have actionable tasks, keep track of progress and lots more when you have an important work project. We seem to have so many different usernames, passwords and log-ins to remember these days. It can be very overwhelming. The best organizational notebook will contain important information in a special section. We don’t suggest having obvious notes for things like banking passwords but you could make personalized notes or coded tips to jog your memory for vital passwords. Another great idea is to keep important phone numbers, address and email address so you have quick and easy access if you lose your phone or the battery dies. We are all human and it doesn’t matter if you are the ultimate planner organizer, some days you will not finish all the tasks you set. 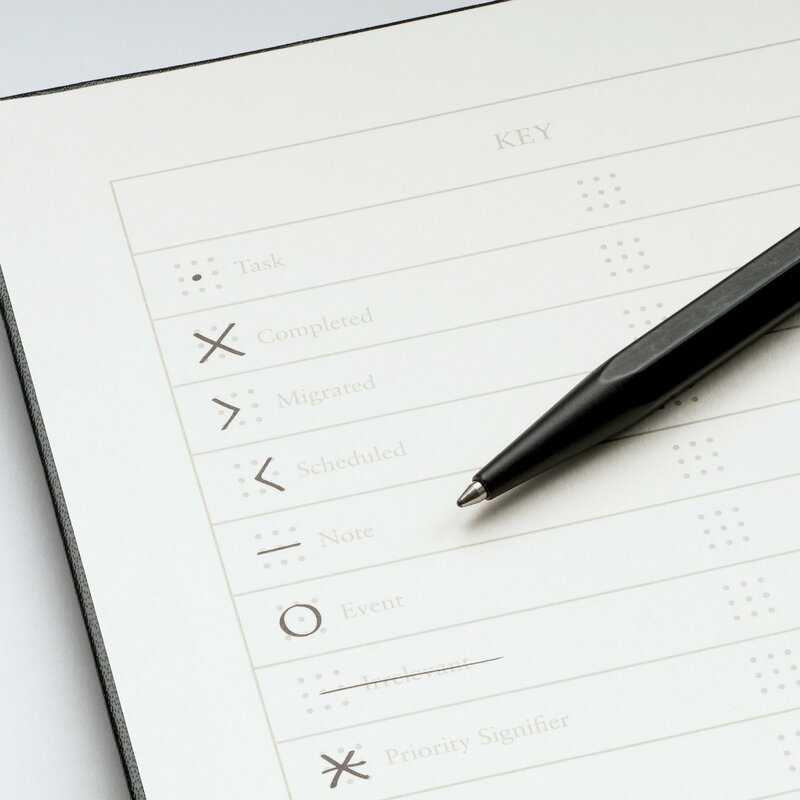 Simply put it is transferring unfinished tasks from a to-do list or schedule. You may do this for your weekly or monthly layout. Ryder Carroll, the creator of the Bullet Journal concept shows more about migrating here. Why is Migration important for the best organizer planner? Perfection is not the goal here. By learning more about yourself through habits, what you get done and distractions you can find out more ways to get organized that suit your lifestyle and personality. You made it! 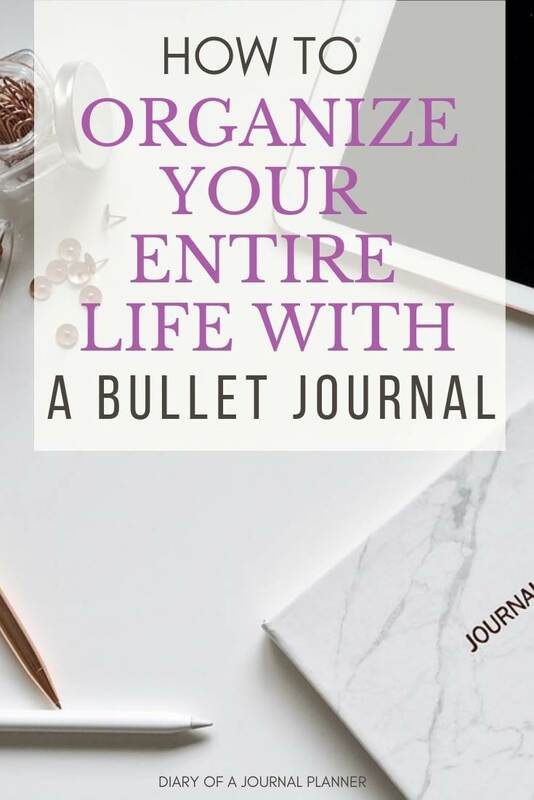 We know that was a lot to read but it shows just how much a Bullet Journal can help organize in your life and why it is such a great idea to start organizing NOW! Taking a look at all the bujo inspiration online can be a little overwhelming. Just remember that it is YOUR journal. Which means you make it personalized to suit you. If you want minimalist spreads then go ahead. If you love doodling then make sure you check out our Art Journaling section for some great ideas to get you started. What have been your bujo organizing lifesavers? We would love to know if you have an organization hack that made a big difference to your life. Make sure to share it with all our readers in the comments below.